We are famous in the industry for our printing Binder. Our flocking binder is made up of best raw materials available. Our printing binder is really long lasting and useful for variety of purposes. Also, we are one of the most demanded names for metal powder binder. Our metal powder binder is tested as per international and national quality standards. We are proud to announce that we are one of the most potent metal powder binder manufacturers in India. Binders 9400 Acrylic Emulsion Milky White liquid Printing Binder in textile for khadi, white ink, pearl etc. It's specially a printing Binder for synthetic fabrics. Soffaxcel SW Acrylic Emulsion Milky White liquid Printing Binder in textile for Direct Printing, coloured print, matt white & matt cloured, on white & Dyed material, Flock printing, Bronze printing. It is suitable for resist & Discharge printing, best quality Binder. Binder 540 Acrylic Emulsion Milky White liquid Flocking Binder, Textile, Non-woven application, as an adhesive for lamination of film to paper / fabrics etc. Suitable for Flocking on to PVC Films. 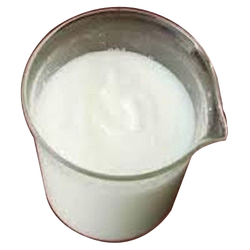 Binder RLS Acrylic Emulsion Milky White liquid Used as Binder for making khadi, white ink under going carbonizing treatment. Can be used for gold / pearl printing. Binder JB44 Acrylic Emulsion Milky White liquid Stretchable Binder high dry a wet rubbing fastness. Very soft feel. Brilliany asreactive prints. Gold Binder BCF Acrylic Emulsion Milky White liquid Metal powder Binder for textile Printing. Glitter Binder Acrylic Emulsion Milky White liquid Glitter powder Binder for textile Printing. Flock Binder Acrylic Emulsion Milky White liquid High Quality Flocking binder. Adhesives gives very soft and silky Feel.